We are heading into an exciting time. The side-effects of demonetisation are behind us and the new tax reformGST is all set to be rolled out. As an investor, you need to understand the impact of these developments on your investment and day-to-day life. Here are 7 points to explain the present market situation and how you should deal with it. Invest Now Or Wait For Some Correction And Invest Later On? The market is not actually overvalued but yes it is on the higher side. Usually market has a tendency to correct after tasting highs but considering the Governments push in order to improve the pace of the economys development, it doesn't look like there will be a sharp correction. Significant profit booking could be possible in near term but this could be the most awaited correction and one of the best buying opportunities, both for short-term as well as long-term investors. As of now, investors are a little cautious, especially retail investors. But what about big players and the real market makers? They are investing in this market even though people are expecting some correction in the market in near term. This is the time to start investing in parts as corrections should be welcomed to enter the market. Like the greatest Guru Investor Warren Buffett says - Be fearful when the market is greedy and be greedy when the market is fearful. As we all know, GST is confusing to everyone. But what we can focus on is that more than 81% products and goods are under 18% tax slab. Till the time most of the sectors were paying tax more than 15-18% except a few exceptions. Most of the sectors will be paying tax under 18% tax slab. Ultimately this will reflect in the profitability of the companies. Not actually on the same day of roll over but yes in next couple of quarters, it will start appearing. On the other end, unlisted goods will come under GST after rollout and will be taxable going forward. This will help the government to generate more revenue and ultimately it will help in reducing the deficit. Instead of speculating on GST impact, we should be ready to use sentimental rally in the market. It doesn't look like investors are tending towards different asset class except for stock market. Analysing the number of demat accounts being opening these days compared to last 7-8 years history, people are more tending towards stock market. In order to diversify the investment, investors are opting for other asset class but the main focus is on stock market only. Counting the returns people are getting in other asset classes, the stock market is looking more attractive. As we have discussed above, awareness is increased. Earlier it was said there is a risk in the stock market and mutual funds are a safer bet. But in both the cases risk is the same. We can understand no one can think better for our hard earned money except ourselves. That is why people are getting attracted towards stock market as we can invest any time with no investment condition and with the flexibility of selling stocks at any point in time we need liquidity. Moreover, for long-term investors, there is ease on tax as well. There is no tax on income with holding duration more than 365 days. Triggers and threats are the unending part for the economy and the market. As of now, looking a year ahead, threats are minimal. Minimal threats are ultimate triggers for the market. Considering the CPI data for last few intervals, inflation is under some threat. The inflation is rising, however, the growth that needs to complement rising rate is not happening. We are expecting a rate cut in the next couple of months. If the talks of rate cuts make it to the market, we can expect a good rally. Monsoon already has hit most of the country. Keeping everything apart, our Governments focus is the most important trigger, and fortunately, our government is highly bullish in order to pace up the development. Anti-dumping has been seen on most of the items and government is pushing domestic production as well which will help in near term and will be reflected in the next few quarters. Can Niveza Perform In Such A Cautious And Volatile Market? Few sectors are overvalued as of now. But as discussed above government is focusing on major sectors like infra and banks among others. In infra sector, most of the projects are started and the queue is strong as well. With infra associated sectors like cement, electric infra, steel, iron and iron ore and many more will ultimately get benefited. Looking at the banking side, the government is focused in minimising NPAs of banks. Our focus will be on these sectors. Out of these sectors, we will focus on the most undervalued stocks where we can get more downside protection and can have a lesser impact in any worst case scenario. Apart from this, large cap companies could be another safe bet where we can find better downside protection. Though it may not give fancy returns in coming days but at least investment would be safe and can grow at a steady pace. Most of the investors invest first and investigate later. But we are here to provide a holistic 360-degree research as we recommend stocks after comparing it with 8-10 closed peers and pick the best out of the basket. For us along with investing, risk management is equally important and that is the point where we focus even more. 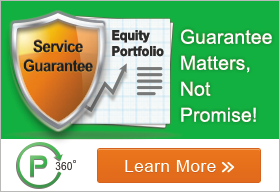 We are primarily focused on the safety of your investment. Hence, we emphasise more on downside protection of the stocks. While analysing any sector, we seek the combination of undervalued stocks with exceptional growth potential. Looking at a single parameter isnt helpful in most of the cases. While doing research it is important to study 6-7 stocks and then picking the best out of it by comparing all the details we can have. Is Waiting For A Good Time A Good Idea? After a significant rally, the market is taking some rest at current levels and looking little cautious. But looking at the historic data, usually in such a situation, big investors invest most of their capital and keep on investing on the lower levels and when the market starts to rally they keep on investing. After significant upside, retail investors start buying and on that upside, market starts booking profits. Thus its better to start investing in good valued fundamental stocks right now and hold it for few months to start counting the returns.